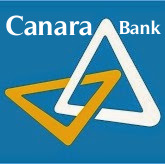 Canara Bank has published the final result for PO or Admission to one year Post Graduate Diploma in Banking and Finance (PGDBF). The Online written Exam was held on 04th of March 2018 followed by Personal Interviews. Note- The Offer Letter for admission to PGDBF Course shall be sent to the Candidates in due course. The details of date of reporting and other formalities to be completed by the candidates before their reporting at the campus will be contained in the offer letter.